Ideal to use in conjunction with Herbalife Formula 1 shakes and Formula 2 Multivitamin Complex as part of your weight management programme and to support overall healthy nutrition. 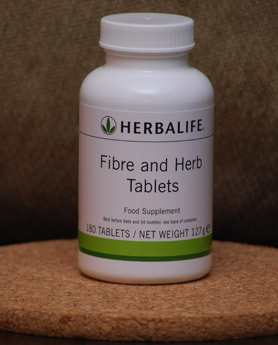 Getting enough fibre in the diet is essential for healthy digestive function. One of the many well known benefits of adequate fibre intake is its role to speed up the passage of food and to help eliminate toxins from the body. Studies suggest that Western diets are low in fibre; the average adult consumption of fibre is typically around 17g per day in Europe. Yet it is recommended your body needs 24 to 30g of fibre to optimise your digestive system.